With the power of social media, it is now possible for virtually anyone to create a network of hundreds, thousands, even tens of thousands of followers, and to communicate with them, regardless of technological knowledge, thorough blogs, and audio or video podcasts. In an instant, a person can go from anonymity to fame or infamy. In this interactive presentation, Bruce Hurwitz will explain the basic concepts of designing and delivering an effective speech, interviewing guests and being interviewed on audio or video formats, including traditional radio and television, and by the press. Attendees will learn the dos and don’ts of successfully conveying a message. 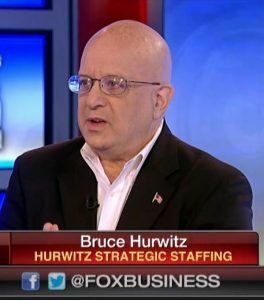 Bruce A. Hurwitz, Ph.D., president of Hurwitz Strategic Staffing, Ltd.,whose mission it is to promote the hiring of veterans, has been an executive recruiter since 2003 and a career counselor since 2009. In addition to being a “Five-Star” rated speech writer on Fiverr, he is a recognized authority on career counseling, recruitment, and employment issues, having been cited in over 700 articles, appearing in some 500 publications, across the United States, and in at least 30 foreign countries. A three-time Amazon bestselling author, his posts on LinkedIn have been read 410,000 times and have garnered national and international media attention, including appearances on the Fox Business Network, Headline News (CNN), the local New York Fox affiliate, and a mention on ABC’s Good Morning America. His social media network includes well over 43,000 individuals. He is the host of the live video interview podcast, Bruce Hurwitz Presents: Meet the Experts and was the original host of the Manhattan Chamber of Commerce podcast, The Voice of Manhattan Business. Prior to becoming a recruiter, Bruce was a non-profit professional. An honors graduate of the Hebrew University of Jerusalem, Israel, where he obtained his Ph.D., he has over 125 peer-reviewed books, articles and newspaper contributions, on topics ranging from International Relations and International Law to the use of technology to conducting an effective job search and having a successful career. What–You Can’t Google Everything You Need to Know? Younger generations are known to say they can find anything they want to know by googling. But much of the learning, skills and perspective people need to succeed in their careers is not found in data on the internet, but rather through conversations and relationships – often cross-generational ones at work. What are the growing intergenerational trends and challenges to address now? What’s the business case for cross-generational collaboration? How can you most effectively interact with clients from a different generation? How can we go from Collidescope to Kaleidoscope harmony? Join us on September 12, 2018, to hear a talk by Lou Diamond. 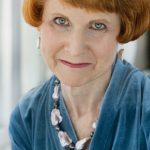 Lou, author of Master the Art of Connecting, is a coach, consultant, master connector, speaker, and motivator. During this talk, Lou will be covering the best ways to connect with others to improve your career, grow personally, create fruitful relationships, and beyond! Lou Diamond is THE Master Connector. He has over 25 years of experience in sales, relationship management, business development, and executive coaching. He is an international keynote speaker, consultant, leadership & performance coach, best-selling author, podcast & TV host, and CEO of Thrive, a company focused on making the most amazing people, businesses, and brands become even more amazing through the power of connecting. 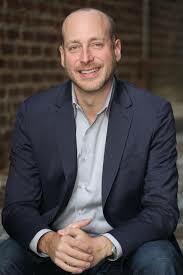 He has consulted and mentored top performers at hundreds of companies the world over. Lou inspires audiences to feel they can conquer the world….and make tons of great new connections doing it. Dr. Woodson Merrell has been on a mission to transform medicine and healthcare since he started his practice in integrative general internal medicine in 1986. A pioneer and national leader developing the field of Integrative Medicine, Dr, Merrell’s approach combines the best evidence-based therapeutic approaches from conventional and complementary medicine. What’s the best diet? Paleo, Mediterranean, vegetarian, etc. Homeopathy: Beneficial or the devil’s brew? Vitamins: How do we know if we need them or what ones we need? What mindfulness practices increase our intelligence, focus health and longevity? Are there pills that can do the same thing? Is there some way for me to get to sleep better or keep me in sleep? Why am I always exhausted in AM? Are stem cells ready for prime time? Dr. Merrell will be addressing these questions and many more at our next May 9th Thought Leaders in Business event. Research on integrative medicine effectively combines Western bio-scientific medical practices, tradition-based approaches to health such as acupuncture, and an innovative focus on nutrition and the body. Author of The Detox Prescription and Power Up, an in-depth exploration of how to supercharge your health and eliminate the toxins within. Join us at this exclusive Thought Leaders in Business event to hear Dr. Merrell tackle some of the biggest health myths we see in modern medicine today, and to learn more about how we can begin to heal ourselves. Dr. Woodson Merrell received his medical degree from Columbia University College of Physicians & Surgeons and has been in practice for more than 30 years. He has been on a mission to transform medicine and healthcare since he started his practice in integrative general internal medicine in New York City in 1986. He has been a pioneer and national leader in developing the field of Integrative Medicine, which combines the best evidence-based therapeutic approaches from conventional and complementary medicine. 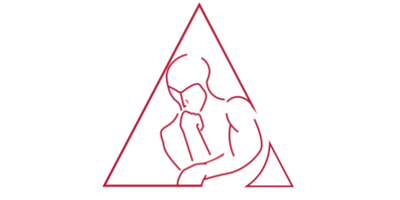 Dr. Merrell’s practice includes nutrition, acupuncture, herbal medicine, and mind-body stress reduction techniques along with conventional internal medicine and diagnostics. 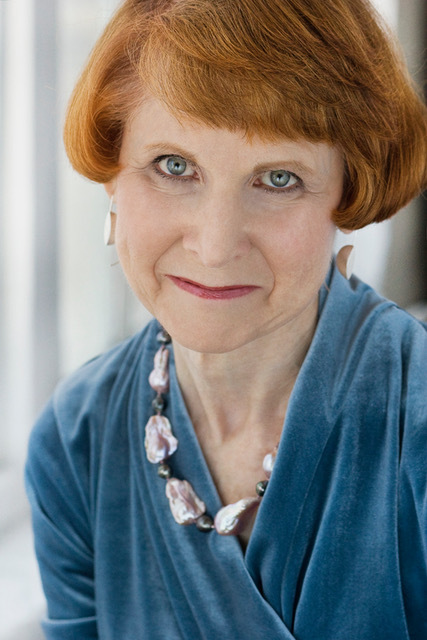 As the Founding Executive Director of the Center for Health and Healing in New York, Dr. Merrell established the largest and most comprehensive academic center for Integrative Medicine in the U.S. He is immediate past Chairman of the Department of Integrative Medicine at Mt. Sinai Beth Israel Medical Center and assistant clinical professor of medicine at Icahn Mt. Sinai School of Medicine. Dr. Merrell is the author of two books, Power Up and The Detox Prescription. As one of the world’s leading experts on Integrative Medicine, Dr. Merrelll has been frequently quoted in national publications including Time, The New Yorker, The New York Times and Town and Country, and has made numerous television appearances including on Good Morning America, CBS News and The Dr. Oz show. Employers, Are You Ready for 2018? News headlines in 2017 had employers sitting up and taking notice. From #MeToo, to changes in minimum wage, to restrictions on unpredictable workers’ schedules—a startling list of new regulations and legislation means there’s a lot to get your head around, whether you own a small business or are a manager in a large corporation. At the most recent Though Leaders in Business, Kerrie R. Heslin walked the audience through some of the most recent changes from the employers’ perspective, pointing out potholes, pitfalls and oft-neglected areas. Heslin, of employment law firm Nukk-Freeman & Cerra, P.C., which represents employers, noted that layers of statutes affect employers, with the federal government, state government and even municipalities getting in on the act of regulating employers. The audiences’ hands flew in the air with questions for each topic. Heslin tackled some tough questions and gave the audience specific advice about their existing procedures. The NYC Salary History Ban prohibits employers from asking prospective employees’ salary histories. The fines can be steep – with a civil penalty of up to $125,000 and $250,000 if the violation was willful. Hint: Some companies are making sure interviewers adhere to the policy by putting a reminder—”No salary history questions!”—right in the Outlook invitation. The Ban-the-Box law in New York State means no more check box asking potential employees if they’ve been convicted of a crime. The threshold salary at which employers must pay overtime has gone way up, sometimes ranging up to $48,000. This number also can also vary by location and even county. The “affirmative defense”—in which an employer must simply prove adequate training to prevent sexual harassment—is no longer a sufficient defense in New York State when an employee alleges wrongdoing. The Family and Medical Leave Act of New York applies even if you have one employee. And the time off does not have to be taken consecutively. All the new legislation means updating forms and processes. A good employer needs to have a solid action plan in place to meet complaints and allegations with clear and documented procedures. Waiting until you’re faced with an allegation or complaint is dropping the ball – and both you and your employees deserve better than that. Perform a self-audit with your legal firm. Because it’s privileged, companies don’t have to wring their hands over what might surface. Sign up for Heslin’s alert email—to stay on top of the shifting regulatory environment. Make sure you have procedures in place to capture and respond to employee complaints; turning a blind eye puts your company at risk. Start training programs that catch your employees up on the new policies and procedures you’re enacting. It was an honor to have Kerrie R. Heslin with us for this Thought Leaders in Business presentation. Her talk couldn’t have been more informative, and left the audience all better equipped to face employment challenges head on and become part of the solution to a better workplace environment. Governor Cuomo has declared that NY will be the most protective of employee rights in the Country! Over the last three years, New York State and City have enacted some of the most far-reaching employment laws and regulations. Compliance with these laws is complex, and the penalties for failing to be in compliance are severe. These laws cover all aspects of the employer-employee relationship – bans on inquiries about past salaries, annual increases in minimum wage and the threshold salary for treating employees as exempt from overtime, paid sick time, paid family leave, and scheduling laws, just to name a few. At the same time, all these new regulatory requirements are being framed by #MeToo, equal pay for equal work, and a zero-tolerance discrimination policies, fundamentally changing the workplace and the relationship between employer and employees. Join us as Kerrie R. Heslin, the Managing partner of Nukk-Freeman & Cerra P.C. employment attorneys, discusses the requirements of these new laws and how employers can ensure compliance, reduce risk, and develop a safe and productive workplace for all. 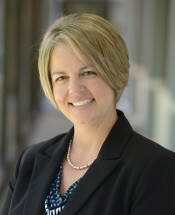 Kerrie R. Heslin has an expertise in employment and labor matters for management. Ms. Heslin devotes a majority of her practice to the litigation of employment matters involving discrimination, retaliation, whistleblower claims, wage and hour and benefits issues on behalf of employers. She handles counseling and litigation involving workforce reductions, ERISA, COBRA, FMLA, FLSA HIPAA and NLRA issues. Ms. Heslin also counsels clients on diverse employment issues, such as training, hiring and firing of employees, employment agreements, separation agreements and releases, restrictive covenants, policies and employee handbooks. She litigates matters in state and federal court and before administrative agencies, including state and federal EEO agencies, the DOL, FINRA, OSHA and NLRB. In addition, Ms. Heslin handles all aspects of labor matters, including negotiation of collective bargaining agreements, arbitration of grievances, union avoidance training and pension fund withdrawal liability. Registration is Mandatory for ALL Thought Leaders in Business Events. As a high-net-worth individual whose wealth has been accumulated through diligence, hard work, and savvy, you have –no doubt– been concerned about the hacking epidemic at so many financial institutions and, now, a major credit bureau! Where will it end? Which institution will be hacked next? And, when will the hackers target an individuals’ financial assets? It is already happening. Hackers can easily obtain lists of high-net-worth individuals whose financial history, transactions, and net worth can be easily obtained. That includes bank and brokerage accounts, including off-shore accounts. You, and your fellow high-net-worth individuals are a broad, ripe, and profitable target for hackers throughout the world. The Information Technology Management Group, is an industry leader in cybersecurity. Chris Moschovitis, its Chairman and CEO, is an internationally ranked cybersecurity expert, who has written brilliant and edifying articles on cybersecurity for prestigious banking, law, real estate and general industry publications. He is often called upon to consult with financial institutions, law firms, and businesses about how they can protect their clients. And, his upcoming book on Cybersecurity will be the “go to” reference for businesses world-wide. Now, Mr. Moschovitis is offering an exclusive invitation to high-net-worth individuals who want to protect their assets, their families, and estates. He will be conducting a valuable and informative seminar, in language we can all understand, the subject of which will be asset protection from hackers. Attendees will learn about the invasive threats and leave with actionable, pragmatic steps you must take to protect their assets. You have worked long and hard to achieve success; yet, hackers can penetrate the firewalls and the controls used to protect your assets: Make no mistake: You are already a target. This Cybersecurity seminar for High-Net-Worth individuals may be the most important seminar you can attend this year. Registration is mandatory for this, and all future Thought Leaders In Business events. There will not be any on-site registration, with only pre-registered attendees allowed into the event. On July 20th, we were honored to present Congresswoman Carolyn Maloney with our annual Thought Leaders in Business Award. Congresswoman Maloney was first elected to congress in 1992, and she has been the frontrunner who has pushed for a long list of progressive accomplishments. Among which is her current push for government to prioritize cybersecurity. The recent cybersecurity attacks being carried out by nation states such as North Korea and Russia have put cybersecurity at the forefront of many high level discussions – both in government and in business. We’re thrilled that Congresswoman Maloney has been repeatedly emphasizing the importance of this discussion – and that she’s emphasized the need for it to be ongoing. After the presentation of the award, the congresswoman gave a brief talk. In her speech, she emphasized not only the government’s role in prioritizing cybersecurity, but our role as individuals, as well. Specifically, Rep. Maloney stated that individuals in the private sector need to put more pressure on those working in the public sector to acknowledge cybersecurity as a matter of importance. When citizens show that they want to personally learn more about cybersecurity and that they hold their government accountable to use better technology, the end result will be improved ability to mitigate risk. In her talk, Congresswoman Maloney said that cybersecurity needs to become a policy focus within all government bodies. She believes firmly that any situation where customer privacy is being compromised is one that we need to focus on and work toward improvement. Currently, the Congresswoman is working on a bill that would require all companies who deal with sensitive information to comply with data security standards that many banks already adhere to. Because these standards are already being used in Banking, Rep. Maloney sees no reason that they couldn’t be applied to all companies that provide financial services. The standards are scalable for both small and large businesses, and they’re intended to protect customers (individuals, businesses, and governments) from hackers. Congresswoman Maloney is absolutely correct when she says that we as a country can’t afford to be at the mercy of hackers. There must be more communication between the private and public sector so that we can move forward together as a unified front against cybersecurity threats. It was our honor to award Congresswoman Carolyn Maloney with this year’s Thought Leader in Business Award. Watch her video here to see the full ceremony and her Q&A session. 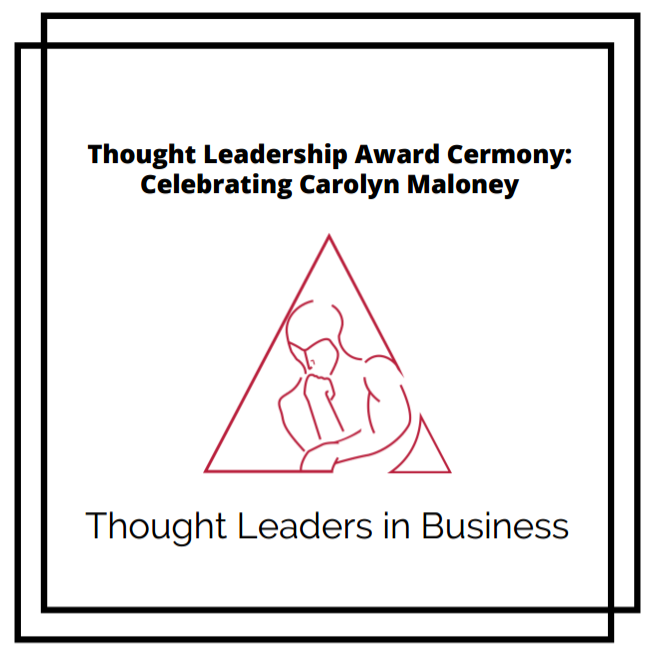 Thought Leaders In Business is proud to present the 2017 Thought Leader in Business Award to Congresswoman Carolyn Maloney for her outstanding leadership in all matters of cybersecurity, governance, and thought leadership in tumultuous times. Following presentation of the award, Congresswoman Maloney will address and update our community with the latest from Washington, with a particular focus on Cybersecurity impact and thoughts on regulation. Following her presentation, Congresswoman Maloney will take questions from the audience. Congresswoman Carolyn Maloney was first elected to Congress in 1992. She is recognized as a national leader with extensive accomplishments on financial services, national security, the economy, and women’s issues. She is a senior member of both the House Financial Services Committee (where she serves as Ranking Member of the Subcommittee on Capital Markets) and the House Oversight and Government Reform Committee, and the Ranking House member of the Joint Economic Committee. Pre-Registration is mandatory for this, and all Thought Leaders In Business events. Please make sure you register by clicking the “Register” button. There will not be any on-site registration. Only pre-registered attendees allowed into the event. When we think about the traditional rules of business, general platitudes come to mind like “Go above and beyond,” or “The customer is always right.” However, service design is changing the way we do business. With these changes creating leaner business models and more streamlined sales, we should accept that there are new lessons to learn and new ways of interacting with customers. 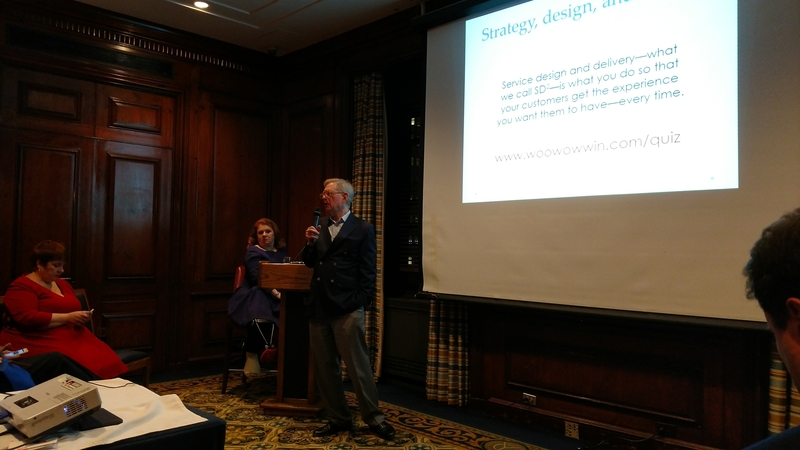 This quarter’s Thought Leaders in Business featured Tom Steward and Patricia O’Connell, authors of Woo, Wow, and Win! Service Design, Strategy, and the Art of Customer Delight. Tom and Patricia explored some of these lessons in our most recent Thought Leaders in Business, and some of them may surprise you. Almost every business “rule” that we’ve learned is tailored to fit a manufacturing business model, but many of these rules don’t fit anywhere in a service design business. Service design is much more flexible because when the product we sell is a service we’re incorporating the human element. Service design customers are incredibly hands-on throughout the selling process. This real-time customer engagement with the service you’re selling leaves room for instant feedback and can cause some hiccups as no interaction is identical. However, this unique flexibility also allows you to maintain a much closer connection with your customers and provide them with a better, more tailored service – for both you and them. When a customer purchases a manufactured product, it’s finished. The expectation is that that product will be fine-tuned, excellent, and consistent. This heroic sense of excellence has been lauded as the necessary but difficult-to-achieve goal for many organizations. However, when you apply this lesson from manufacturing to service design, it doesn’t translate well. Service design professionals attempt to meet this goal of excellence by going “above and beyond.” The problem is that you cannot maintain any sense of consistency with your customers when you work to exceed their expectations. Service design focuses on lean production and lean consumption – any extra “above and beyond” heroics creates confusion, and adds additional steps to what should be a streamlined, and most importantly, consistent process. Related to this idea of maintaining consistency in your service design business is the concept of surprising your customer. The idea that businesses need to “surprise and delight” their customers is completely wrong for the service design business model. Nobody likes to be surprised when they’re expecting a specific service. Surprises create inconsistency in the expectations of your customers. Have you ever heard of a hair stylist surprising their customer with a new color or style they didn’t ask for? If you have, I doubt the “surprise” story had a happy ending. Additionally, a customer shouldn’t be surprised when you complete the services they expect from you. In general, surprises don’t go over well in service design. Instead of surprising your customers, focus on delighting them by meeting their expectations. Let the quality of your work speak for itself – no surprises necessary. The rules of business that have been drilled into the minds of business owners through countless seminars, articles, and white papers the world over make sense…for traditional product-based manufacturing businesses. Service design is its own unique business model, and should be treated as such. Whether your service business is B2C or B2B, you deserve to follow “rules” that don’t limit you and your business’s growth potential. The different set of expectations for both service providers and customers in service design are necessary. Tom Stewart and Patricia O’Connell gave an amazing presentation at Thought Leaders in Business. Stay tuned for the video to follow. Stay tuned for the video capturing this event, and check out the slide show presentation here.